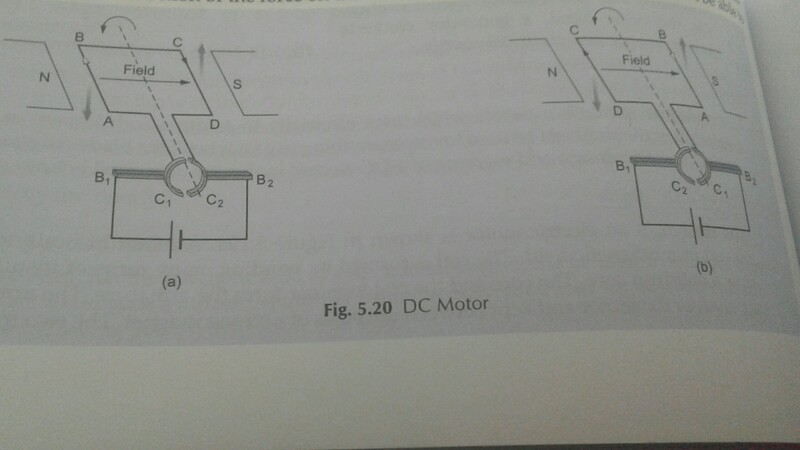 In the above diagram of dc motor the direction of current in coil changes from ABCD to DCBA. 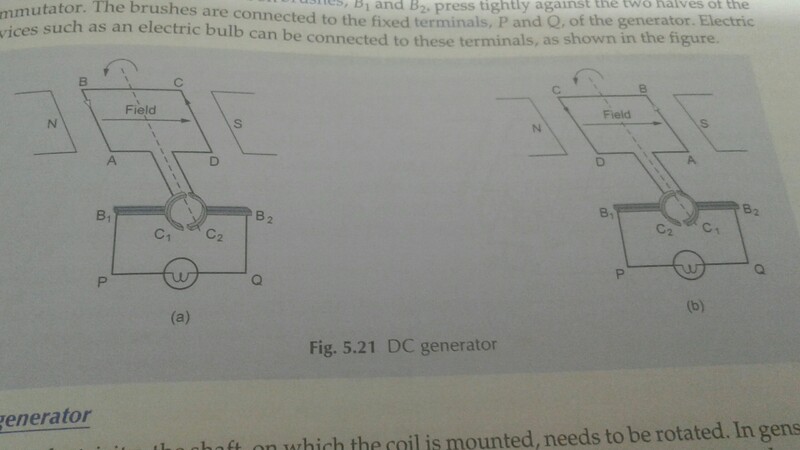 Similarly, in the dc generator shown the direction of current in coil changes from DCBA to ABCD. When using it as a generator, the commutator isn't responsible for changing the direction of the current in the coil itself. The coil current changes direction just because that's how it physically works; the job of the commutator in this case is to 'undo' that direction change so that the output current stays in the same direction. That said, don't feel bad. I would have picked c) as well; it's only your mentioning that a) is the correct answer that got me thinking enough to make this realization. It's a tricky question. Not the answer you're looking for? 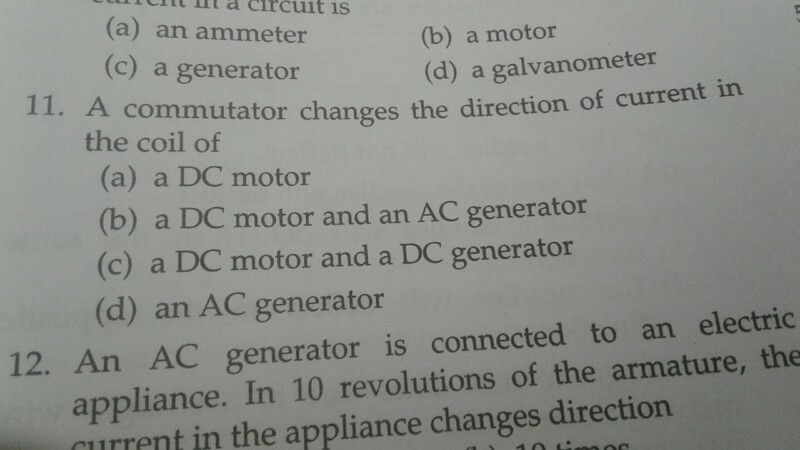 Browse other questions tagged current motor dynamo or ask your own question. How is air conditioner room unit fan motor controlled?